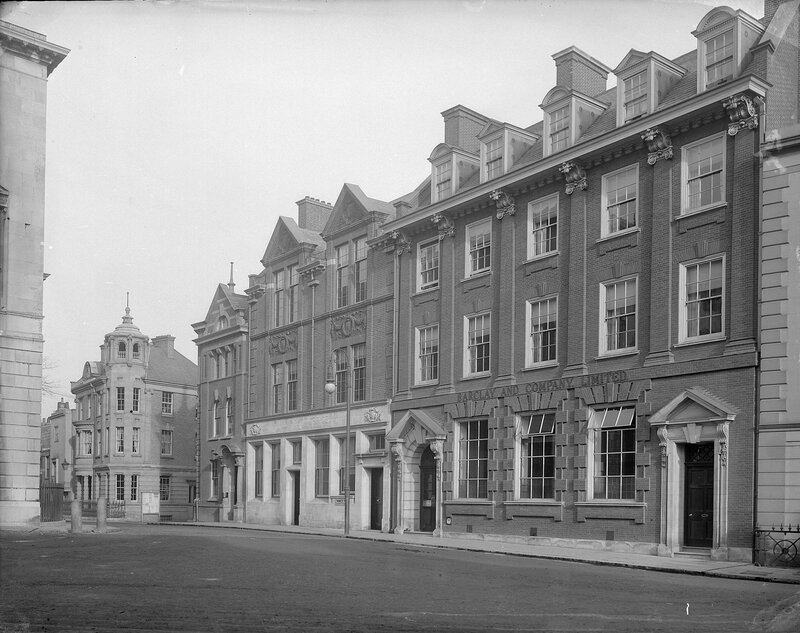 In the sixth post in our series looking at the history of Chelmsford High Street, Ashleigh Hudson looks at no. 38 High Street through the centuries. Find out more about the project here. 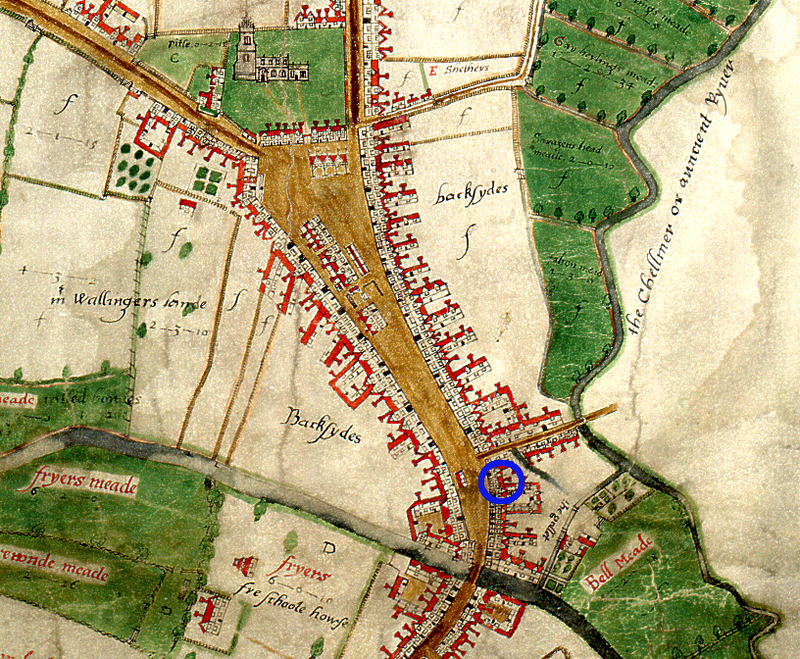 In the 16th century the site of 40-41 High Street was occupied by a medieval inn called the Boar’s Head. From 1633 the inn was known as the King’s Head and it continued to operate on the site until 1929 when the property was demolished to make way for a branch of F.W Woolworth. Woolworths vacated the site in 2010, making way for the arrival of Barclays Bank, who continue to occupy the site today. From the mid-15th century the site of 40-41 High Street contained a medieval inn known as the ‘Boreshed’, which in 1591 was occupied by the widow Anne Bridges. In 1633 the ‘Boar’s Head’ changed its name to the ‘King’s Head’, although the nature of the premises remained the same. The inn benefitted from a prime position on the high street and was a very popular establishment. A Sale Catalogue from 1807 described the King’s Head as an ‘old and well-accustomed inn’. The property boasted a bar, two parlours and a large market room, indicating the inn had the facilities to accommodate a range of events and activities. The inn was modest in size, but well equipped to cater to the various visitors passing through the town. The inn provided stabling for up to thirty horses, which was accessed through a narrow passageway leading from the high street to the yard. 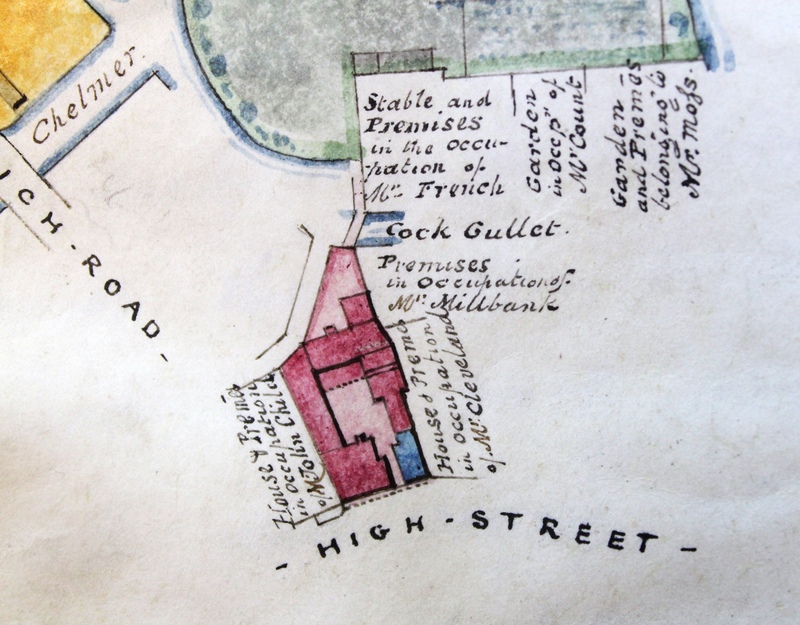 This coloured plan of the King’s Head from 1842 reveals the structure of the property fits the standard pattern for coaching inns. Plan of the King’s Head, Chelmsford High Street (D/DOP T2). By the early 20th century, a growing demand for retail establishments in the high street led to the closure of many of the town’s inns. The highly respected Walter J. Greenwood, who served as landlord of the King’s Head for over thirty years, was also its last before the inn was demolished to make way for a branch of F.W. Woolworth. 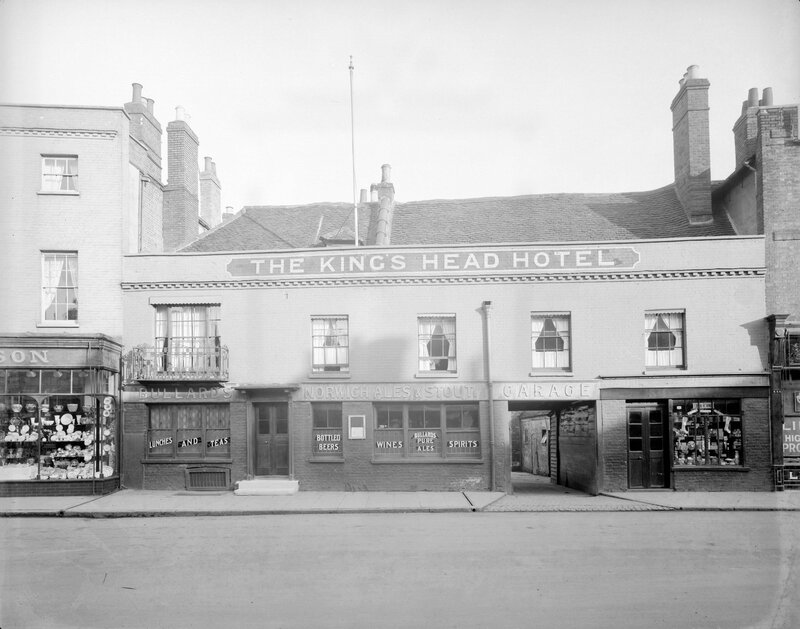 In the 1920s, rumours circulated that developers intended to demolish the King’s Head to make way for an ‘entirely new and handsome premises’. It was hoped that the new building would improve the overall appearance of the high street and bring it in line with other developments. 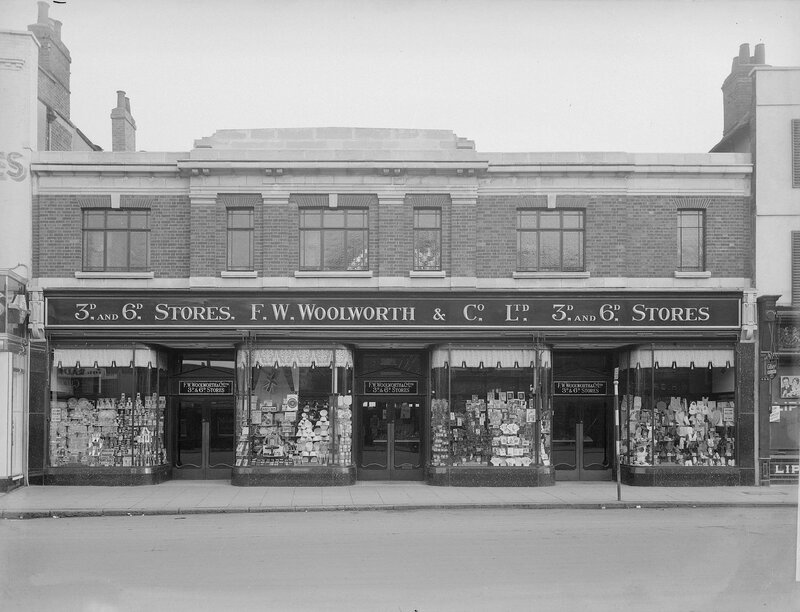 The much anticipated Woolworths store opened in the summer of 1929 and was immediately embraced by Chelmsford residents. The fancy new premises included a large shop floor where a wide range of merchandise was displayed. Above the shop floor there was a large store room and several offices for employees. 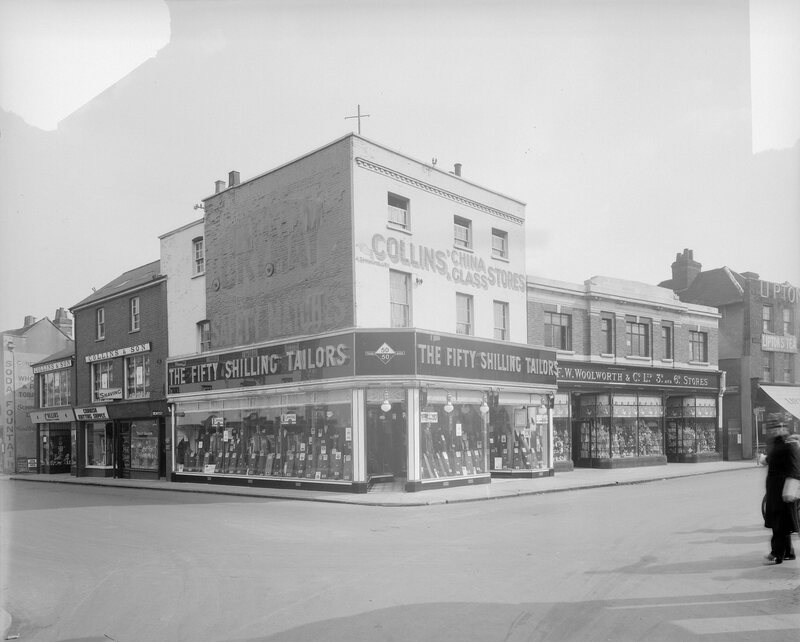 The store initially employed around forty young shop assistants, all of whom were from the Chelmsford area. The shop front contained two entrance swing doors and several large display windows where stock was displayed to entice passers-by. Above the display windows, gold embossed lettering proudly spelled out ‘F.W. Woolworth & Co. Ltd’. Woolworths continued to operate throughout the Second World War, though the store did not escape completely unscathed. In May 1943 Chelmsford’s industries were targeted by the Luftwaffe and many of the shops on the high street were caught in the cross fire, including the Woolworths store. The store was struck by burning debris and as a result, the wooden counters towards the rear of the store caught alight. Fortunately, several members of staff, who were reputedly paid ‘danger money’ to sleep in the store overnight, were on hand to douse the flames. The charred site allegedly remained roped off and kept on display for the duration of the war. The store continued to prosper throughout the rest of the 20th century, with development and expansion occurring periodically. By the 1960s, the store had undergone a vast programme of modernisation. The acquisition of a block of six shops in Springfield Road provided additional space for the store to expand. The new extension was said to have increased counter space and the range of goods on sale. It also created superior staff quarters, a cloakroom, lounge and a spacious canteen. The work took around two years to complete, although the store was said to have operated as normal during this time with minimal disruption to customers. Woolworths remained on the site until the early 21st century when, sadly, the firm went out of business. In 2010 it was announced that Barclays Bank was in talks to relocate from their premises near the Shire Hall to the site of the former Woolworths store. Barclays have enjoyed a long history in the town, having previously occupied the Grade II listed building now containing Jamie’s Trattoria. Exterior of Barclays Bank which was built in 1905. The attractive, red brick three storey building was constructed in 1905 after the former owner, six time Mayor Frederick Chancellor, vacated the site. The property retains all of the original 18th century detailing externally, although obviously the internal modelling has altered substantially with time. 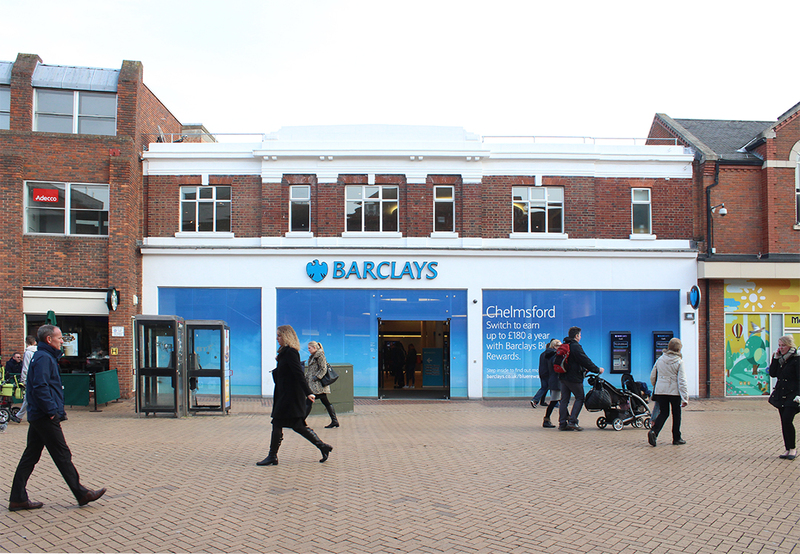 The current Barclays store, located to the south of the High Street, has a much more contemporary feel. At street level, the Barclays building may look very different to those who remember its former life as a Woolworths. The upper façade of the building however is very much unchanged and serves as a subtle reminder of a not so distant past.